Doctor Who Magazine – 39 Years of Happy Times and Places! 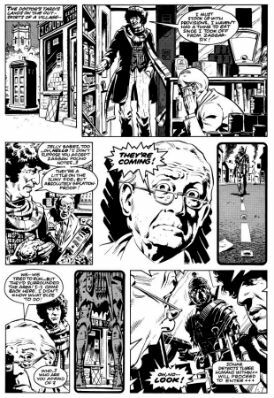 The long-running Doctor Who comic strip had disappeared from Polystyle’s TV Comic some months before, but it had rarely evoked the spirit of the TV show anyway, and had arguably been deteriorating for years. 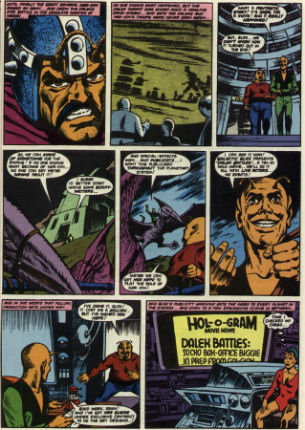 By contrast, the first instalment of Pat Mills and Dave Gibbons’ ‘The Iron Legion’ was something of a minor masterpiece, and while Dave’s boggle-eyed central character bore little actual resemblance to Tom Baker, he was unarguably the Doctor! 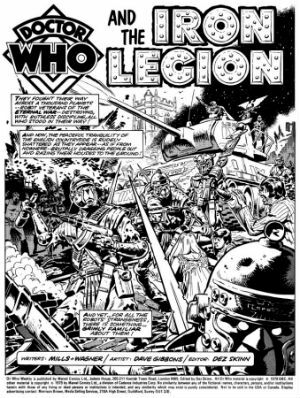 Likewise, Mills’s tale of an alternate Earth where Rome never fell but has conquered the stars due to alien intervention was exactly the kind of story Doctor Who was made for, though it could never have been made on the budget of the TV show; comics, of course, have no such constraints. Decades later, while hundreds of comic stories featuring the Doctor have been published since by at least half a dozen different publishers, the saga of the robotic Roman legions remains one of the best remembered of all time, and is likely to make the top five in any list of the Doctor’s greatest strip adventures. The first issue’s other two strip offerings were less memorable. While Steve Moore and David Lloyd’s ‘Return of the Daleks’ does pretty much what it says on the tin, it’s difficult to care about antennaed actor Hok Nepo and his beleaguered planet from this opening episode, and the serialised reprint of Marvel US’s adaptation of War of the Worlds is pretty clearly just filler. Still, for any kid of the time who was both a comics fan and a Doctor Who fan, this was an exciting development, and it also helped usher in a new and innovative era for Marvel UK, which until the arrival of editor Dez Skinn (who identified the Doctor and his adventures as just the kind of thing Marvel should be publishing) a few months earlier had been almost entirely a reprint operation. 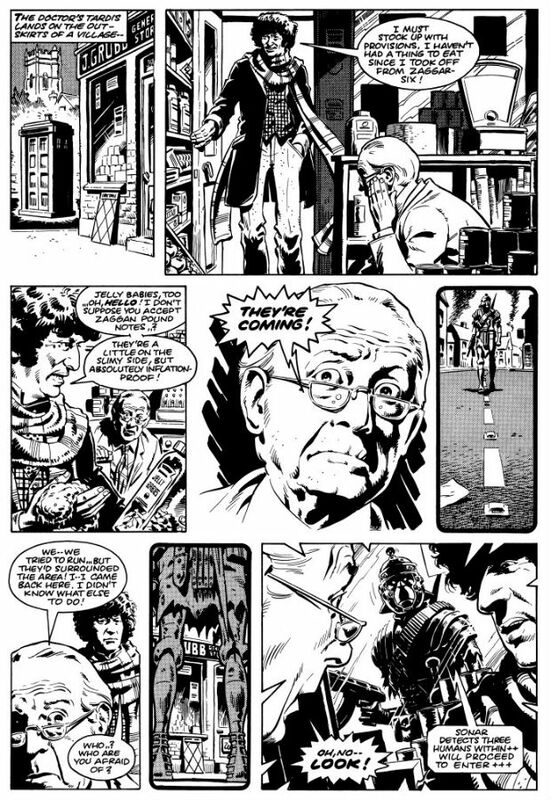 The Doctor Who title was, in fact, hugely important in the development of British comics in the early Eighties, and later gave some of our finest writers and artists (including, but not limited to, John Wagner, Mike McMahon, John Ridgway, Steve Parkhouse, Steve Dillon and Alan Moore) the chance to flex their creative muscles. 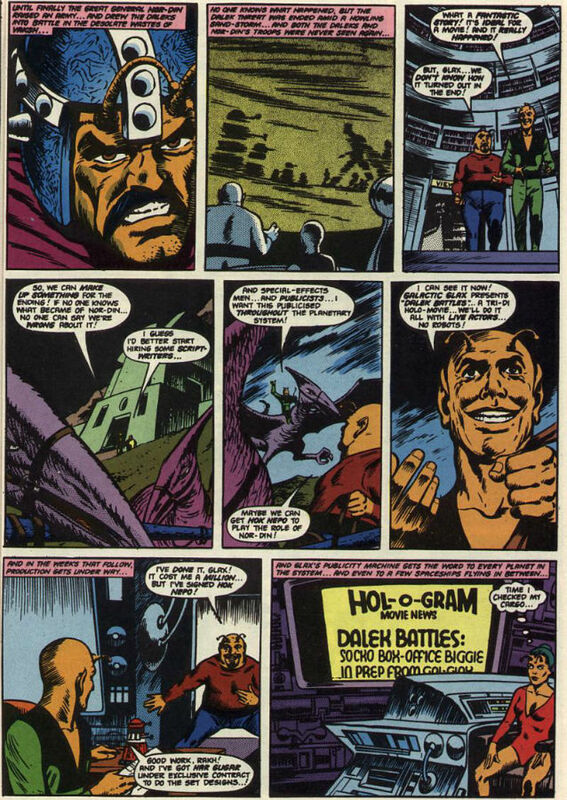 Those early strips have been reprinted endlessly on both sides of the Atlantic, and it’s a testament to their quality and enduring popularity that characters and concepts created in those first few months are still being used in new stories today. 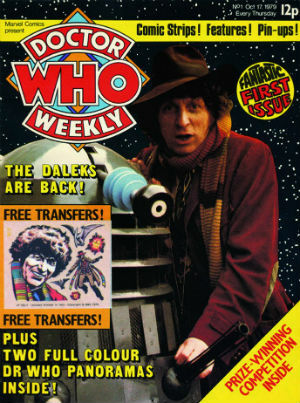 At the time of writing, Doctor Who Magazine is now the longest running periodical based on a TV show, and it shows no signs of going anywhere anytime soon. May it continue to chronicle the Doctor’s strip adventures for another few decades, at least. For more on the current incarnation of Doctor Who Magazine follow them on Twitter here. Staff Picks for November 23, 2016 – A.D.: After Death, Book of Void, The Realist Cartoons, Doctor Who and More! Staff Picks for June 1, 2016 – Njálla, The Shadow, The Red Virgin and the Vision of Utopia, The Revisionist and More!